﻿ AMAZONAS Excerpt: The Next Big Angelfish Gene! In honor of the first importation of “Bulgarian Green” Angelfish genetics into the US by David Labell of AngelfishUSA, we present some background information in this excerpt from “Angelfish: Genetic Transparency Changes Everything” by Matt Pedersen, originally published in the January/February 2013 issue of AMAZONAS Magazine. The next big [Angelfish] gene? Perhaps the most interesting new development is the emergence of what some are calling a new mutation, currently termed the Bulgarian Green (bg) gene. This potentially unique mutation was discovered by Raiko and Ilia Slavkov, proprietors of Malavi in Bulgaria, in a phenotype that has been dubbed the Bulgarian Seal Point. Many questions have arisen. Is it really something new? Is Bulgarian Green recessive? Is it on a new locus? Or is it a new allele on the highly complex Dark locus? Raiko is convinced that what they’ve found is a previously undiscovered recessive gene, exposed through 10 years of inbreeding with Dark Gold Marble (D/Gm) and Hybrid Dark (D/g) lineages. Assuming that our current understanding of the Dark locus and Gold Marble allele is correct, the Slavkovs performed a test cross of a Blushing Bulgarian Seal Point to a wild-type angelfish. The results revealed offspring that had either the Dark allele or the Gold Marble allele, both of which are thought to occupy the Dark locus. 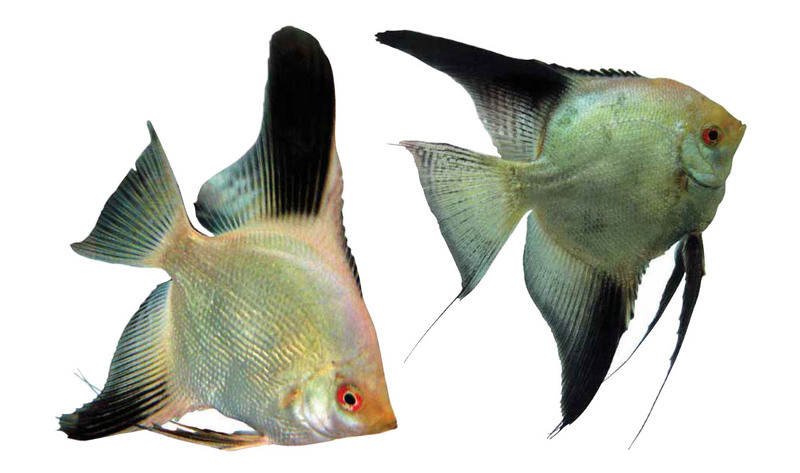 Since the Silver angelfish would have neither, the conclusion is that the Blushing Bulgarian Seal Point parent is contributing either a Dark allele or a Gold Marble allele to the offspring of this test cross. Raiko explains, “It is not possible to have a third gene in this locus.” In other words, the allele that drives the Bulgarian Seal Point cannot be on the Dark locus. A new mutation like Bulgarian Green always starts as a mystery. It is the diligent breeder or amateur scientist who may be able to figure it out and further our understanding of designer angelfishes. 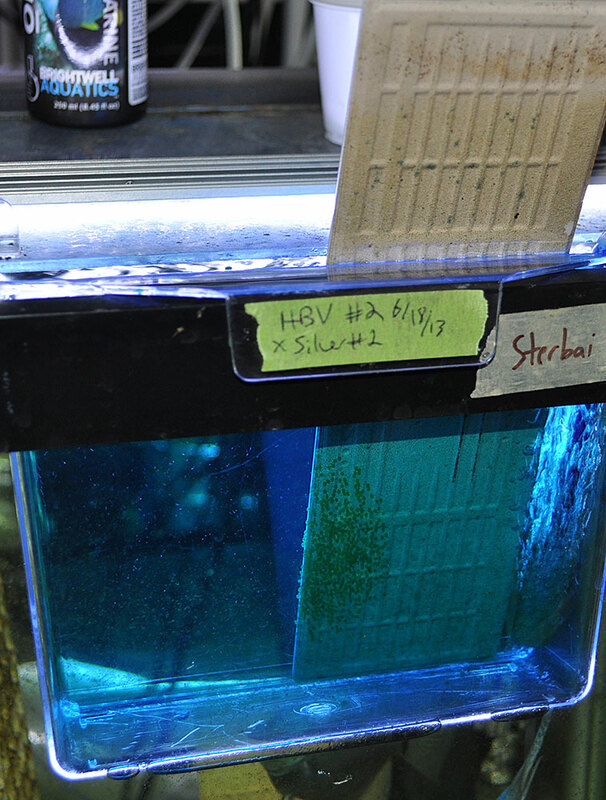 You can read Matt Pedersen’s full article on Angelfish genetics when you buy the back issue.